Ali al-Nimr was sentenced to death in Saudi Arabia after being arrested for attending a pro-democracy rally when he was 17. Imagine this — your teenage son or daughter in the place of this boy. 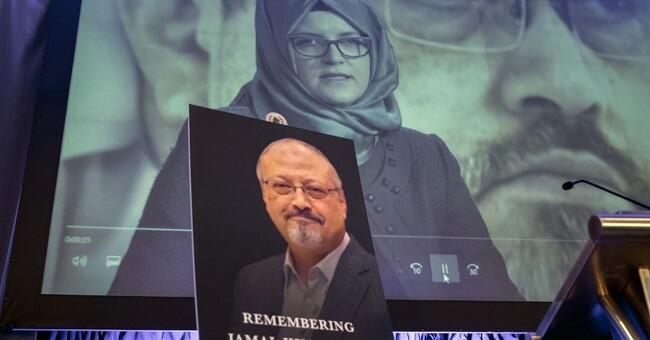 Saudi Arabia has added to their human rights abuses with their new “anti-terrorism” law, which is being used to justify torture and killings of dissidents. Using social media to criticize the state is now “terrorism” in Saudi Arabia. Saudi Arabia is not “liberalizing.” It is not opening, changing, or modernizing in anything other than superficial ways. Additionally, it continues its blockade and war in Yemen, which has killed tens of thousands of lives, left millions near starvation, and threatens an entire nation’s population. Why do we not act? The stated reason is our “relationship” with the Saudis, which boils down to two things — oil and defense contracts. How much oil and how many defense contracts justify turning a blind eye to the actions of the Saudis? How many dissidents will we allow to be held without trial, tortured, or killed? How many more people need to die at their hands — and ours — in Yemen? I stand with those who believe we shouldn’t sell arms to the Saudis unless they change their behavior. We are aiding and abetting this behavior. I’ll work once again to cut off the sales of arms to them and will continue to press for other measures to pressure them into change. There are those who believe some “sanctions” on the people who killed Khashoggi is a good response. I disagree. It is inadequate and misguided. Do you think anyone in power in Saudi Arabia cares if their underlings are sanctioned? No.